Easy-to-use line voltage thermostats for use with linear and panel convectors, electric baseboards, fan-forced heaters, and radiant heaters. Save time and material with no holes to cut or wires to run. Set in +/- 0.5°C (0.9°F) increments. Supporting a wide power range of 300 W to 4000 W, the TH305 includes a backlit display for easy viewing and features an attractive, streamlined design. It is the ideal choice for meeting nearly every application with style. Add in Aube's TRIAC switching and you'll see that the TH305 is the total package. This compact thermostat is packed with advanced, user-friendly features and flexible programming options. It features TRIAC Silent Switching, making it ideal for bedrooms. TRIAC switching provides unsurpassed temperature control by eliminating temperature swings. No temperature swings means you are comfortable at a lower setpoint and comfort at a lower setpoint saves money on heating bills. This Aube compact thermostat delivers exceptional accuracy and silent operation, and is ideal for small spaces. 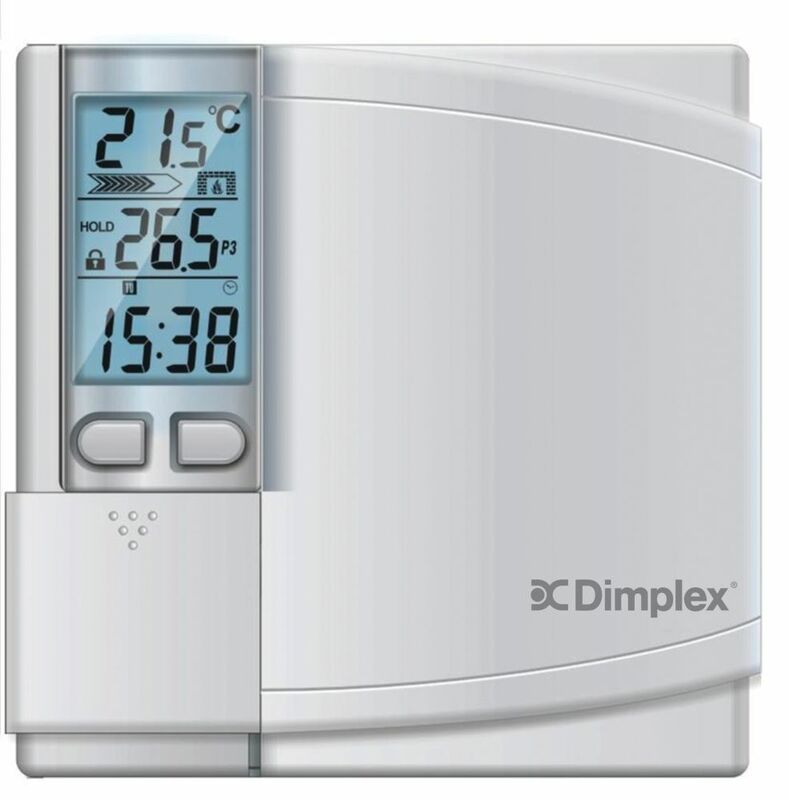 It features ultimate temperature control - the most accurate type of thermostat on the market (+/-0.15C). On-screen heating power indicator gives at-a-glance verification of power being used, and 2-wire non-polarized connection means fast, hassle-free installation. A slim, compact design makes installation ideal for small spaces. Minimum load means this thermostat can control smaller baseboards (i.e. 2 ft. baseboard), and is also ideal for radiant ceilings. Battery-free. Line Voltage Programmable Thermostat Easy-to-use line voltage thermostats for use with linear and panel convectors, electric baseboards, fan-forced heaters, and radiant heaters. Line Voltage Programmable Thermostat is rated 1.0 out of 5 by 1. Rated 1 out of 5 by Rick from Not a good product. This is a great product when it works. Programmable, 4000 watt load, perfect. Unfortunately it comes with built-in rechargeable batteries. If they are bad or failed, then the unit can't function properly. Purchased 3, only one worked correctly. Gave up and went with another vendors product. 725 square foot open building that has 4 baseboard heaters along the sides, want to have a programmable thermostat installed. Can you recommend one that I could use. Presently there is one wall thermostat, one wire in... it's just not programmable. What is the maximum wattage for the thermostat? Is this thermostat have to use battery? No. This unit is hardwired.